Prep Hoops announced today that Chris Fitzgerald has been hired as the General Manager for Prep Dig. In this role, Chris will be responsible for Prep Dig market expansion by developing strategies to recruit and hire contributors in new markets, as well as backfilling contributors in current markets, in addition to contributing with coverage and rankings throughout the network. He’ll take the lead as brand ambassador at volleyball events throughout the country, including the launch of a slate of Prep Dig events. 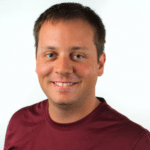 Chris joins the team with a ton of experience coaching volleyball and thorough networks throughout the upper midwest. An Iowa native, taught for the past seven years in the Kimberly Area School District and coached at Appleton North High School for two years. He spent time coaching at St. Norbert College (NCAA DIII) and doing video work for Wisconsin Volleyball Academy. In his free time, Fitz loves riding his road bike.